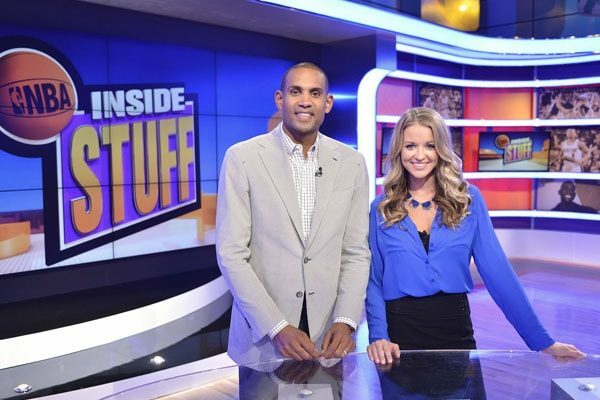 The American sports anchor, Kristen Ledlow, is the host of show NBA inside stuff on NBA TV. Kristen has been part of the renowned networks like CNN, FOX Sports, ESPN and HLN within her short career. She has hosted numerous shows including Good News Show and The Opening Drive which got immense popularity over television. Born on 18 January 1988 in Tallahassee, Florida, U.S, Kristen Ledlow has the birth name as Kristen Melissa Ledlow. Despite being born in Florida, Ledlow spent most of her childhood at Atlanta, Georgia. Kristen completed her former education at a Christian community church and went to Southeastern University for graduation. She completed her graduation in a double major in broadcasting and communications and minor in business. The 30 years old, Kristen Ledlow has an estimated net worth of $1 million as of 2018. Being the first and only female anchor at NBA TV, Kristen surely receives huge sums as salary for her credit. The blonde girl follows a luxurious way of living in her day to day life following her earnings. Besides that, Kristen also has a red 2016 Corvette car which costs around $60k. Unfortunately, the Corvette got robbed in 2016 from Kristen at gunpoint while she was unloading groceries at her apartment’s parking. Later on, Police located the car at Southwest Atlanta and handed down to Kristen. Kristen is an avid lover of pets and has a cat named Magic with her. She is fond of spending her leisure time over social media. The anchor has successfully gathered over 139k followers on her Twitter and 228k followers on her Instagram profile as of October 2018. 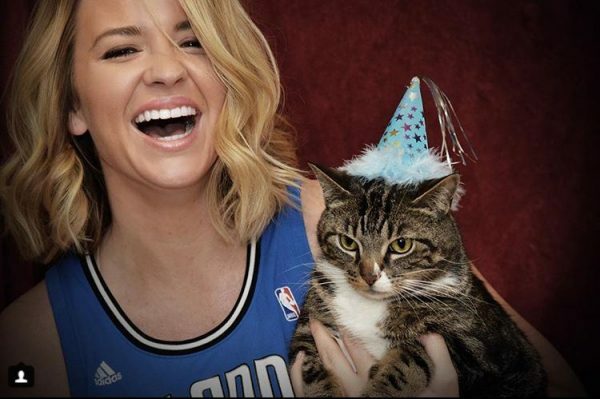 Kristen Ledlow, celebrating the fourth birthday of her pet cat, Magic. The NBA TV host started showing her interest in sports Journalism from a very young age. During her high school days, she set records with the basketball team and was an active player of Volleyball. Moreover, Kristen participated and won the title of Miss Capital City USA and came in third at Miss Florida USA. After completing her graduation, Kristen began her career as a news anchor at WTXL-TV where she hosted the Good News Show. Very sooner Kristen god popularity for her hard work and magnificent work in the broadcasting industry. At present, she is an integral part of NBA TV and TNT and serves as a host and sideline reporter for them. Prior to that, Kristen worked at some of the reputed news Networks like CNN, HLN, FOX Sports and ESPN in the past. The multitalented, Kristen served as a sports anchor at CNN and HLN network whereas hosted the show The Opening Drive for CBS Sports Radio. She also covered ACC and SEC football and basketball for FOX Sports as a Field Reporter in Southeast. Later on, Kristen received her internship from Orlando’s NBC affiliate and worked for ESPN at the live broadcast of the 2010 ESPY Awards. 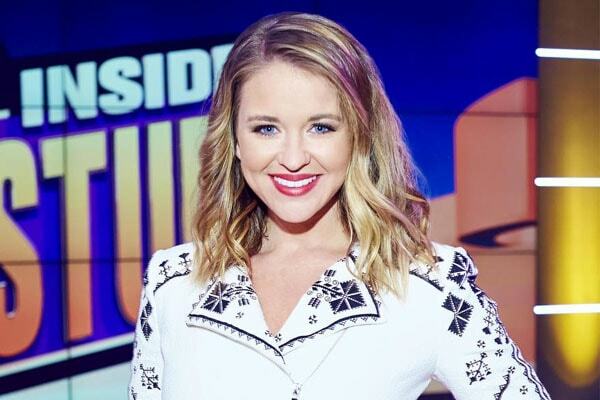 The gorgeous host, Kristen Ledlow belongs to a supportive family where the father, Roger Ledlow, and mother, Rita Ledlow raised her. Kristen also has a younger sister named Lauren Ledlow. The family of Kristen is of American nationality and has white ethnicity. The talented anchor never hesitates to share a pic of her friends and colleagues over her social media profile. Besides that, Kristen Ledlow was found to be in an alleged relationship with baseball player Joakim Noha. But the relationship could not last for long, and the couple got separated. However, both of them never spoke anything regarding their relationship and breakup except Kristen’s tweet over her twitter profile. She wrote, how her ex-boyfriend dumped her and she felt heartbreak. My ex-boyfriend played baseball at Jacksonville State. He dumped me. In a letter. On my counter. Still, today would’ve been a bigger upset.